Share a smile. Share a gift. 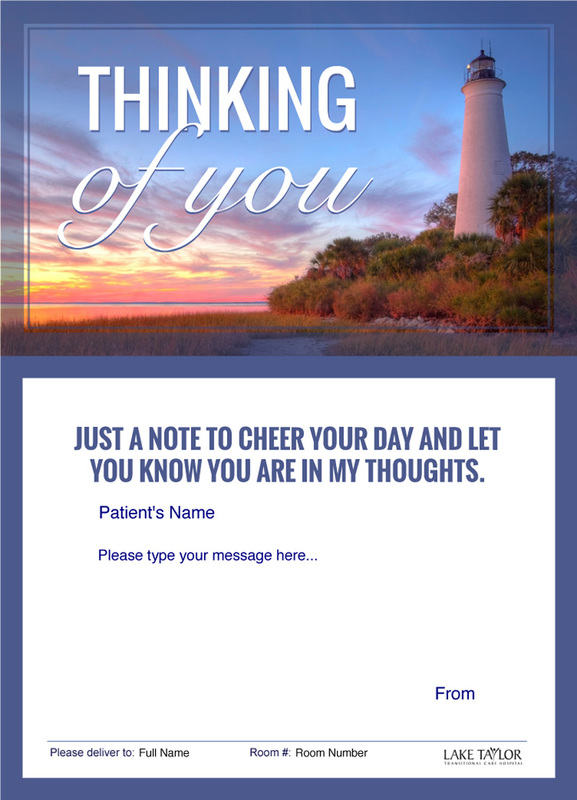 Few things mean more to most hospital patients than knowing someone is thinking about them during their time of recovery. 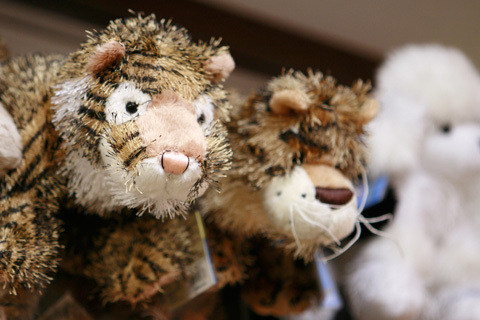 Lake Taylor’s unique gift shop is stocked full of cards, candy, balloons, stuffed animals and dozens of other unique gifts, trinkets and thoughtfully crafted items. 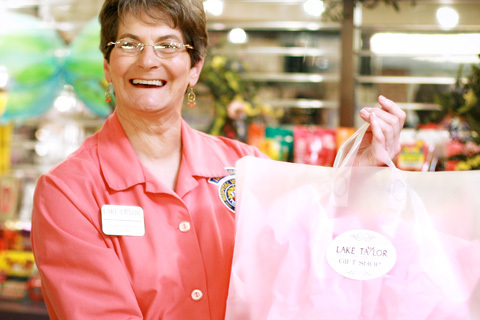 Lake Taylor’s Gift Shop is staffed by a team of our friendly volunteers, who donate their valuable time to help make our patients’ days at Lake Taylor brighter. We’re located on the first floor, adjacent to the main lobby. We gladly accept Visa, MasterCard and Discover as well as cash and payment by check. Say Hello on the Go. Send an E-Greeting. 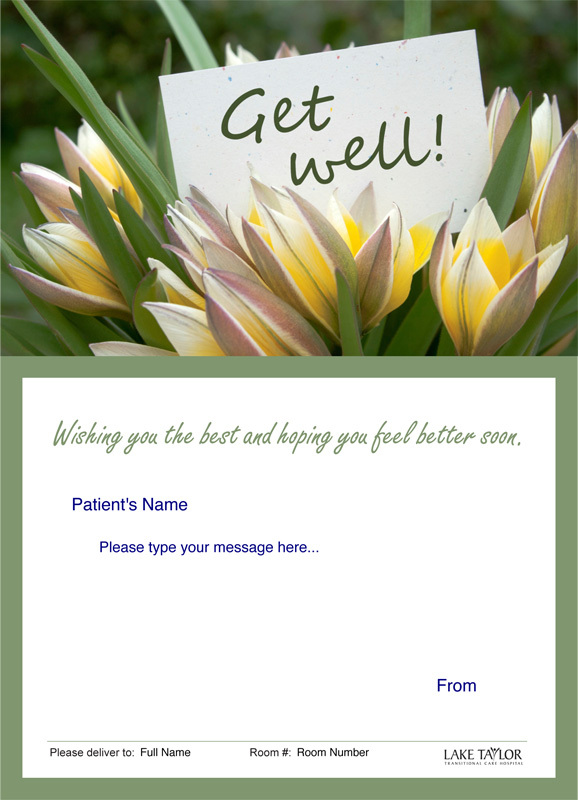 Want to cheer up a friend, relative or hospital patient? 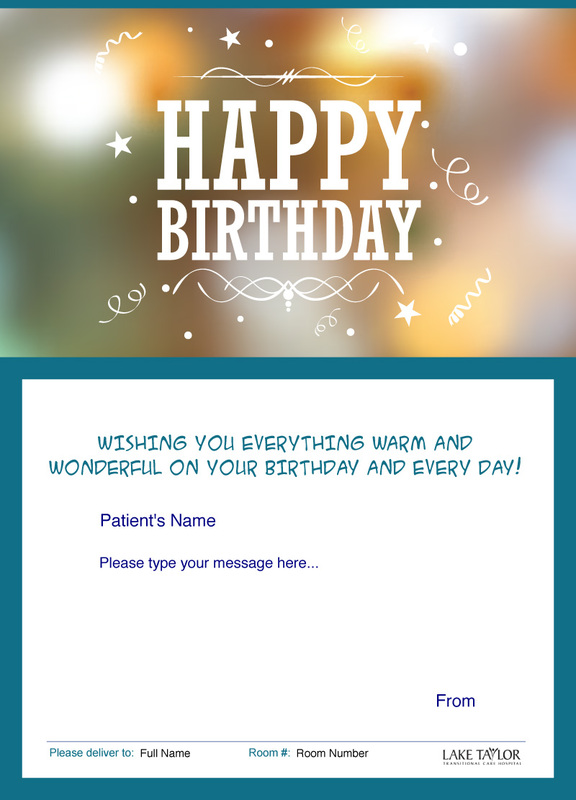 Send them a FREE Lake Taylor E-Greeting! 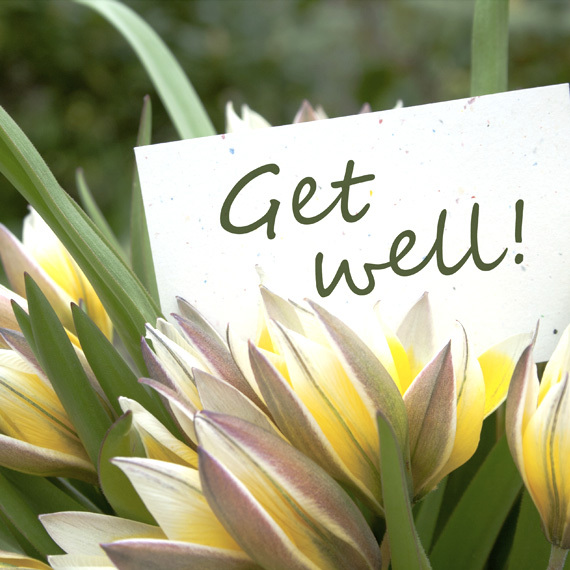 Let them know you care and are hoping for a safe and healthy return home soon! 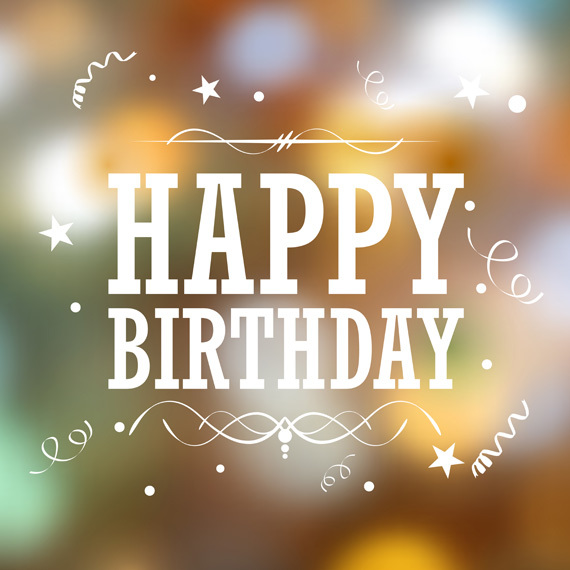 Get the party started right here at Lake Taylor with a fun, friendly birthday greeting. 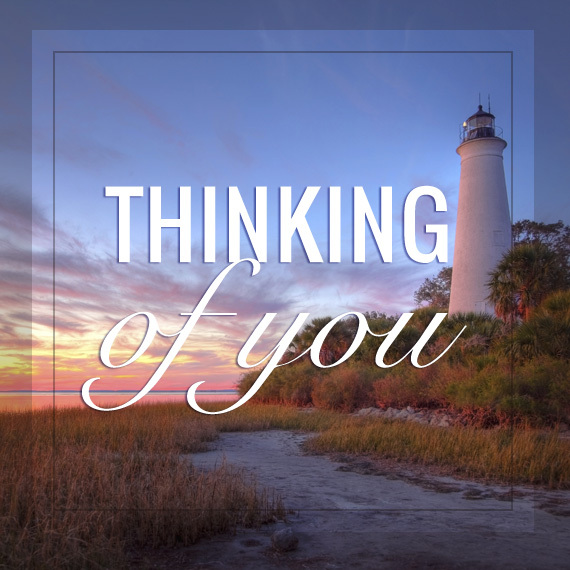 There’s nothing nicer than sending a little note saying that you’re thinking of your friend or loved one.